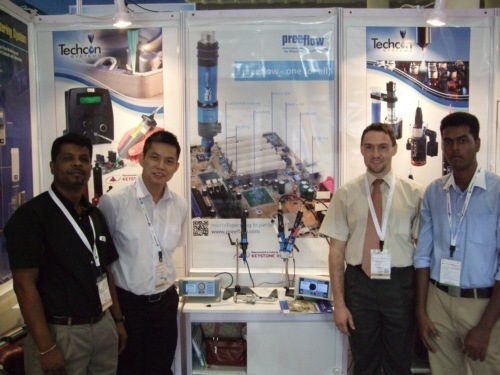 productronica India is the innovative platform for production technologies which are experiencing a strong increase in demand due to India’s emerging electronics manufacturing market. 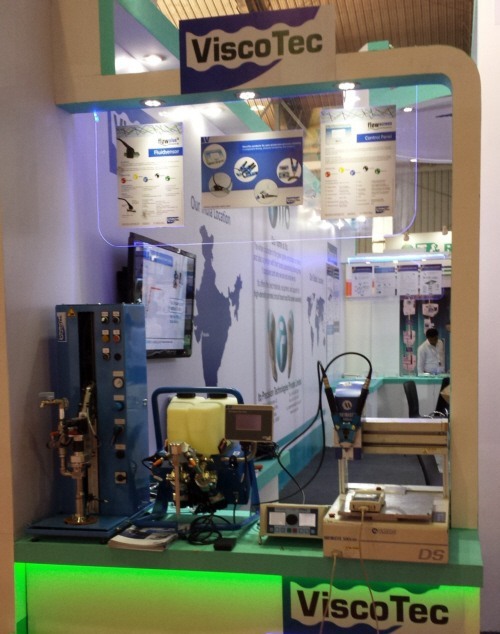 341 exhibitors, representing 713 companies, showcased their products, solutions and services at the trade fairs from September 23 to 25, 2014 at the Bangalore International Exhibition Center (BIEC), Bengaluru. 14000 visitors attended the trade fair, 20% more than its previous edition. ViscoTec introduced the new eco-DUO600, Flowplus and Flowscreen, as well as all Preeflow 1K Component and 2K Component products, and the new VisCompact 2-component table-top-dosing unit. Also ViscoTec has shown its barrel.emptying system and RD-Dispenser range. In general, India is one of the most important markets for ViscoTec.